Downer delivers multi-disciplined infrastructure solutions to customers within the transport sector. Downer has a long history in the delivery of both simple and complex road projects across Australia, New Zealand and Pacific nations, under a variety of contracting models. Services include complete design and construction of road earthworks, pavement construction, bridges and tunnels, and associated civil structures. Integration with broader Group capabilities enables an end-to-end service that extends to cover intelligent transport solutions and road network management and maintenance. In addition to our industry-leading rail rolling stock build and maintain business, downer maintains significant capability in the delivery of rail infrastructure. Services include track construction, line electrification, delivery of depots and stabling yards and construction of railway stations. Particular expertise around the delivery of services within the constraints imposed by a live operating environment, exists as a point of difference for our customers. 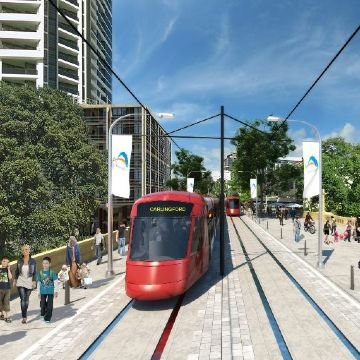 The Auckland Electrification Project, comprising a consortium between Hawkins and Laing O’Rourke, involved the delivery of nearly 200km of new electrified rail network and has delivered a modern and reliable rail network for New Zealand’s fastest growing city. Downer’s ongoing involvement in the rebuild programs following the earthquakes in Christchurch and Kaikoura, comprising the reinstatement of critical road and rail infrastructure, also stands as testament to our capability and commitment to customers in the sector.